Dr. Ball joined the faculty of the Graduate School of Education in 2007 to work on developing a leadership program for individuals in independent schools interested in administrative leadership. In 2008, he became the co-director of the School Leadership Program, a Masters degree program that brings together aspiring leaders from independent, public, and charter schools. Earl Ball has an abiding interest in the role of independent schools and independent education in the United States. He served as Head of the William Penn Charter School in Philadelphia for 31 years. During that time, he was involved with independent schools both locally and nationally. That involvement included serving as president of the Country Day School Headmasters Association, president of the Pennsylvania Association of Independent Schools, president of the Headmasters Association, and as board member of the National Association of Independent Schools. 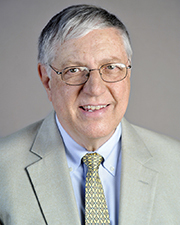 Earl Ball maintains involvement with Friends Education and has served on the board of the Friends Council on Education including time as clerk of the executive committee. Prior to his work in independent schools, he taught in the teacher education programs at the University of Pennsylvania Graduate School of Education and Johns Hopkins University. He began his career in the public schools of Baltimore. Earl Ball's involvement in independent school leadership and school leadership in general includes serving as chair of accreditation teams for independent schools through the Middle States Association, the New York Association of Independent Schools, the Pennsylvania Association of Independent Schools, the Association of Independent Maryland Schools, and the Association of Independent Schools of Greater Washington. In addition to his work at Penn, Earl Ball consults nationally on issues of executive leadership and board governance. He serves on the national board of the Nazarbeyev Intellectual Schools in Kazakhstan. Ed.D. (Education) University of Pennsylvania, 1981.